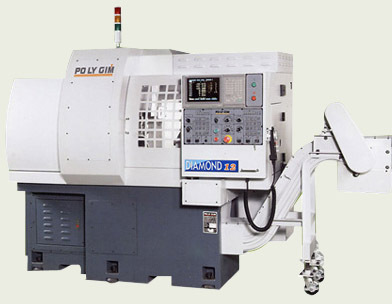 Poly Gim introduces the smallest Swiss type CNC lathe: the Diamond CSL 12-2Y.With a 12 мм bar capacity and up to 10 working axes, the compact Diamond CSL 12-2Y doesn't compromise capability for size. 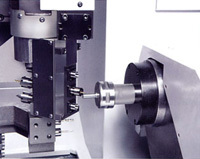 Among its unique features are two Y-axes and six fully progra ммable(360 degree) tools that work on both the main and sub-spindle. 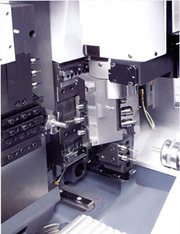 The Diamond CSL 12-2Y is suitable for producing small electonics parts and is mill turn capable.